Home » Rotary Wheels For Learning » Rotarians & Friends Team of 24 Ready to Distribute Bicycles January 2013! 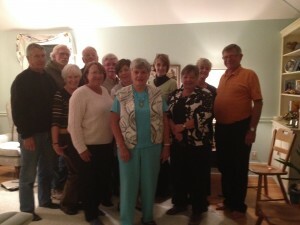 Rotarians & Friends Team of 24 Ready to Distribute Bicycles January 2013! 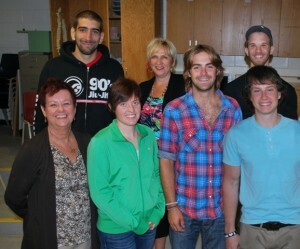 Darlene Palmer- Sudbury Sunrisers Rotarian, Kelly Nesbitt, Brandon Sanders, and Luke Snow. Back row: Carl Fagnant, Debra Betty- Sudbury Sunrisers Rotarian and Justin Ceskaukis. 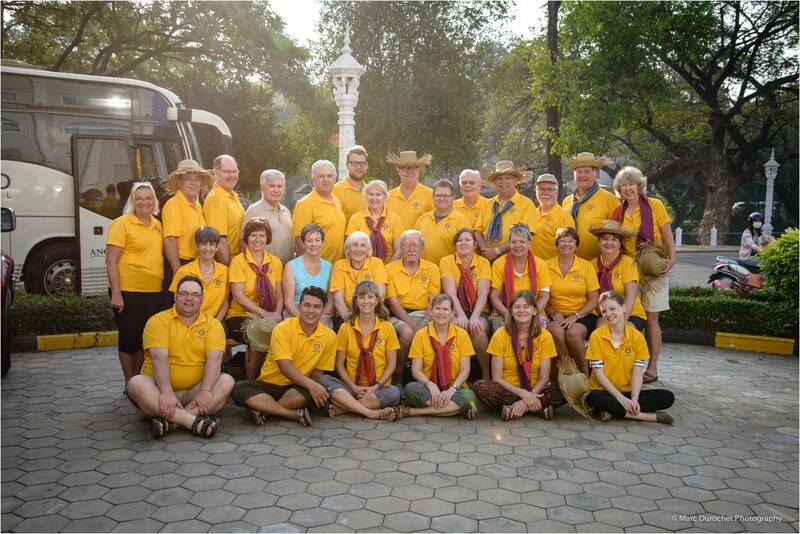 We have a team of 24 Rotarians & Friends ready to distribute Rotary Wheels for Learning Bicycles throughout Cambodia this coming January/February 2013!! 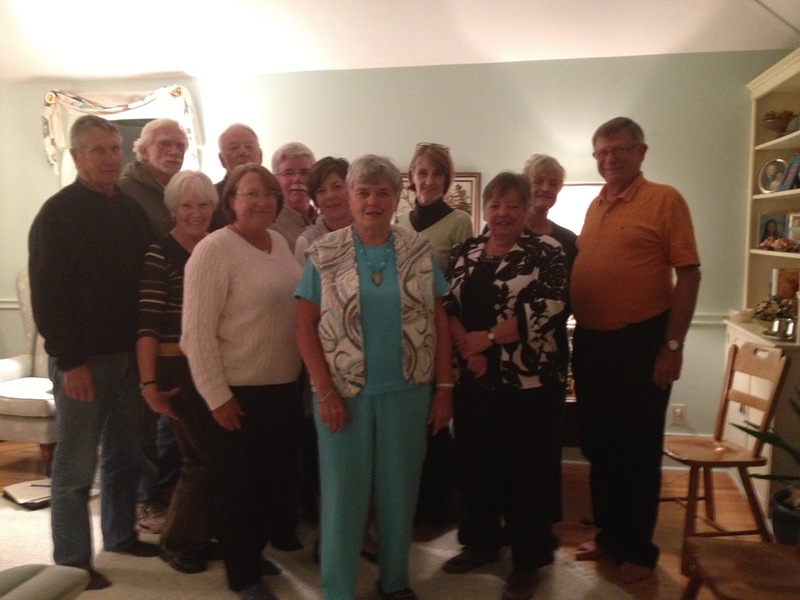 … Amongst our team, there are members from four District 7010 Rotary Clubs in Ontario: Rotary Club of Gravenhurst, Sudbury Sunrisers Rotary Club, Rotary Club of Bracebridge and the Rotary Club of Minden. The team arrives in Cambodia on January 23rd and departs February 12th, (with some going on to do some sightseeing in Viet Nam, Laos and Thailand). During our 21 days in Cambodia, we’ll be distributing up to 1,056 bicycles and mosquito nets to rural Cambodian students. We’ll be distributing bicycles, mosquito nets and dental supplies in the provinces of Battambang, Takeo and Siem Reap. We will be giving a number of bicycles and mosquito nets to children living in the area surrounding the Steung Mean Chey garbage dump in Phnom Penh through the People Improvement Organization (PIO), founded by CNN top-ten hero Phymean Noun. Our final distribution sees us returning to Tamao Wildlife Santuary and Rescue Centre, where our friends at Free the Bears will help us distribute 100 bicycles to children living in the many rural villages surrounding the area. Several distributions will be conducted with members of the Rotary Club of Battambang, district 3350. This club is now identifying the many area children in need of a bike to get to school. We’ll also be distributing bikes to at least one school on the outskirts of Siem Reap with Rotary Club of Siem Reap Angkor Member, Sophanit Prin. Bicycles and mosquito nets will be distributed at local schools and in the villages themselves. With each bicycle, we will provide the child’s family with a family-sized quality mosquito net. Before the bikes are handed out at each location, the children and families will be provided with a dental hygiene education session, following which, our team will distribute toothbrushes and toothpaste to all – including the teachers! We’ll be visiting many rural schools, at which our team will distribute many donated items brought over in suitcases. HELP OUR TEAM PROVIDE A BICYCLE TO EACH OF THE 1,056 CHILDREN PRESENTLY BEING IDENTIFIED IN CAMBODIA -Your Donation of $50, will provide a bicycle and mosquito net to a child. Sponsor a bike for a child as a Christmas or birthday gift to your friend or loved one! 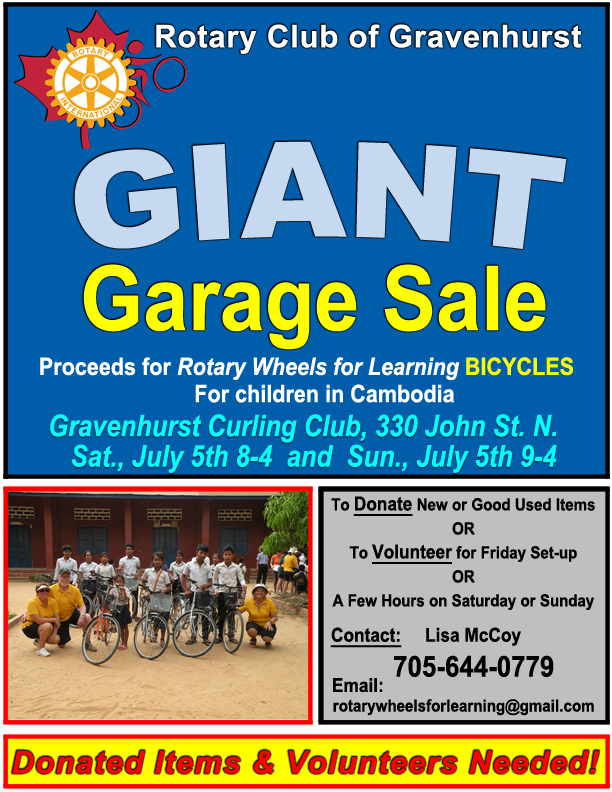 Michael Foster – Gravenhurst, Jim Goodwin – Rotary Club of Gravenhurst, Steve Hayhurst – Rotary Club of Gravenhurst, Michaela Korb – Rotary Club of Bracebridge, Sharon Foley – Gravenhurst, Lynda Valcourt – Gravenhurst.